Product Consists : Bouquet of 12 Mix Gerberas with some fillers in a cellephone wrapping with a matching bow along with New Year Greeting Card. There might be hardly anyone who does not love hearts and flowers. 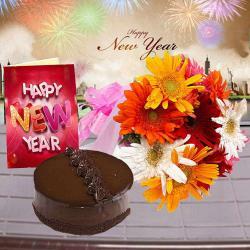 This is an elegant gift hamper that is perfect to make New Year celebration special. 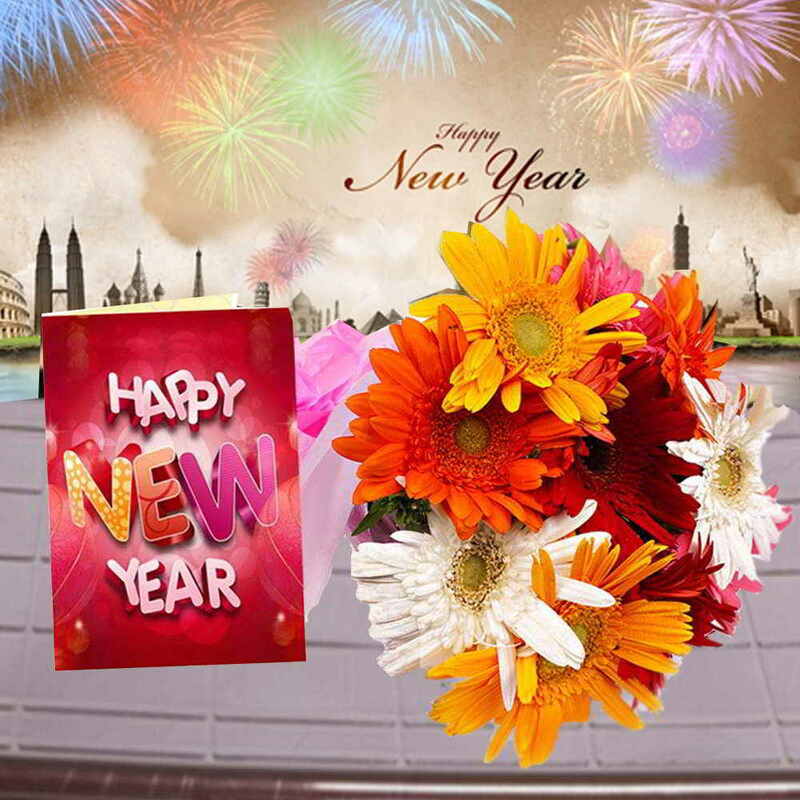 It consists of a bunch of 12 charming mix gerberas in lovely colors like yellow, orange, red and white and a classy New Year greeting Card with a hearty message inside. 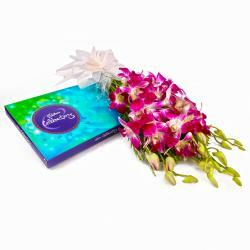 You can gift this wonderful combo to those close to your hearts on New Year to give them an exuberant start. Product Consists : Bouquet of 12 Mix Gerberas with some fillers in a cellephone wrapping with a matching bow along with New Year Greeting Card.